The project was created as an ideal environment for decentralized applications and business applications. The basic requirements that we set for the project are scalability, speed and security. Using revolutionary developments - mobile mining, smart contracts on Petri nets and linear logic, a hybrid consensus algorithm and project management based on the time contribution to its development and many other solutions, we have created a protocol of tomorrow. Enecuum creates a decentralized ecosystem able to bring the blockchain and cryptocurrencies to the real mainstream, involving a crowd with regular mobile and desktop devices into the blockchain network, as well as providing the powerful toolkit for the dApps developers to create fast and low cost applications for millions of people. Distributed experienced team is constantly working in Hong Kong and St. Petersburg in order to launch the network and give everyone the opportunity to feel the block of tomorrow. 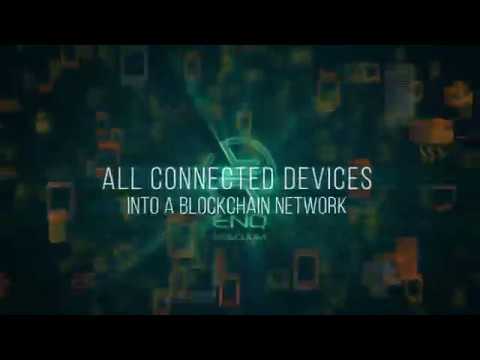 Devices connect to the Enecuum blockchain and share untapped data processing capacity. The more devices connected, the higher the network speed, with uncapped scalability potential. Connecting millions of distributed devices will create a truly decentralized, secure and stable system. Our Trinity algorithm combines PoA, PoW and PoS. This hybrid approach to consensus provides a high degree of network decentralization, while significantly increasing both network security and transaction execution speed. Network security is further enhanced by our integrated innovative cryptographic solutions. These consensus mechanisms work simultaneously: Problem Solvers (PoW nodes) create the backbone of the blockchain structure. Publishers (PoA nodes) complete and publish microblocks. Holders (PoS nodes) maintain system efficiency. Through cryptography, nodes may become interchangeable. The core of the system is the decentralized protocol ENQ with a unique new architecture, based on the Trinity Consensus algorithm. One of the stages of consensus (Proof-of-Activity) is performed by mobile devices. The owner of the mobile device just need to download an App to connect to cryptocurrencies World, earn coins, make transfers and pay for the goods and services fast, secure and without banking fees. Important! ENQ App will not drain the battery of the mobile device and requires very regular specification of the phone – Android 4.4, 1GHz processor, 5 GB storage. Assemble the core dev team. Implement PoW and PoA nodes. Launch the test net alpha (Genesis). Development prototype for test net beta. Academical research: Trinity protocol with ID based cryptography and anonymous transactions. Launch the test net beta (Neuro). Trinity consensus algorithm. Implementation ID based cryptography. Create first smart contracts use cases for partner Dapps (VPN). Publishing cycle of academic papers in peer-reviewed magazines (WoS, Scopus). Launching an ecosystem scaling program. Release main net alpha (Trinity). Developing SDK for Smart contracts. Updating smart contract virtual machine. Publishing nodes API and documentation.